The African Union Election Observer Mission (AUEOM) which is in the country ahead of next Monday’s elections has called on all political parties and candidates taking part in the election to use the correct legal frameworks to address electoral disputes. Addressing the media in Harare today, AUEOM head of mission, Haile Mariam Desalegne who is also the former Prime Minister of the Federal Democratic Republic of Ethiopia, urged political parties to abide by the electoral laws as well as the constitution when they want to seek recourse with the election management board, the Zimbabwe Electoral Commission (ZEC). “Concerning the issues which have been raised by the opposition, I think it is important that every party in this election should allow the proper legal frameworks and processes. if they want their grievances addressed. “Our job, therefore, is to see if and how these processes are followed so that at the end of the election we can come up with our report. We encourage all the parties to follow these electoral process,” said Desalegne. His sentiments comes in the wake of continued calls by the MDC Alliance to have ZEC come up with a level playing field, with 5 days remaining to the elections. The Alliance has previously raised red flags over the unfair coverage on the national broadcaster and public media which seems to favor the ruling party at the expense of other contestants. 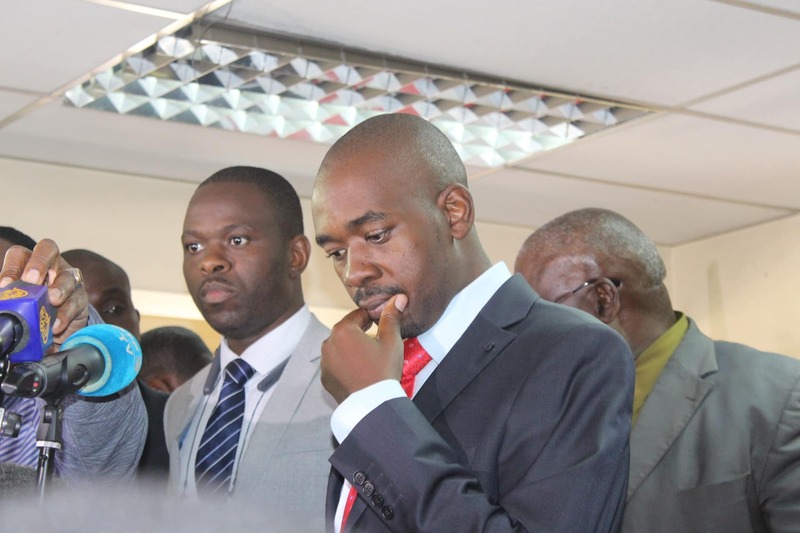 However, Chamisa told a press conference in Harare today that he will not boycott the elections and will go ahead with or without the reforms as quitting would mean letting down his supporters. Meanwhile, the Commonwealth Observer Mission led by former President of Ghana, John Dramani Mahama has raised the hopes of opposition parties who have been demanding a level playing field ahead of the 30 July harmonized elections saying no demand is unreasonable as long as it is in line with the legal framework of the country. “No demand is unreasonable and I am sure everyone taking part will push for the democratic space to ensure that the law is followed ahead of the elections. “It is for ZEC to listen to those demands and address them as long as it’s within the confines of the law,” said Mahama. He said his observer mission will at the end of the elections produce a report which will encompass the current coverage of all political parties in the media. African Union Election Observer Mission (AUEOM)HaileMariam DesalegneJohn Dramani MahamaNelson ChamisaZimbabwe Electoral Commissio (ZEC).